An IT industry analyst article published by SearchSolidStateStorage. 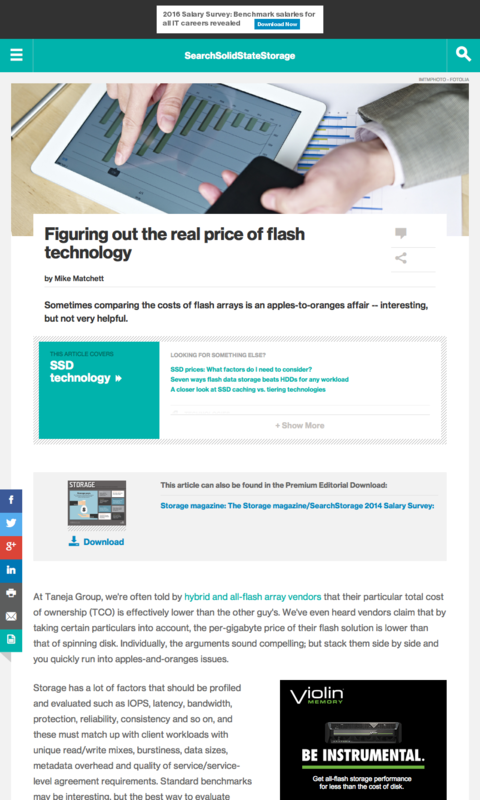 Sometimes comparing the costs of flash arrays is an apples-to-oranges affair — interesting, but not very helpful. We’re often told by hybrid and all-flash array vendors that their particular total cost of ownership (TCO) is effectively lower than the other guy’s. We’ve even heard vendors claim that by taking certain particulars into account, the per-gigabyte price of their flash solution is lower than that of spinning disk. Individually, the arguments sound compelling; but stack them side by side and you quickly run into apples-and-oranges issues. 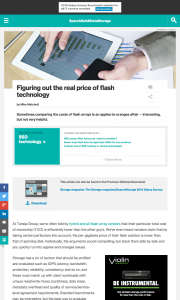 This entry was posted in Published Articles and tagged Flash, SearchSolidStateStorage, Storage, Storage magazine, Taneja Group, TCO by Mike. Bookmark the permalink.